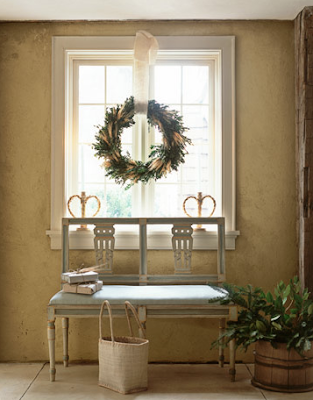 Next in the Christmas colors series: the natural look! 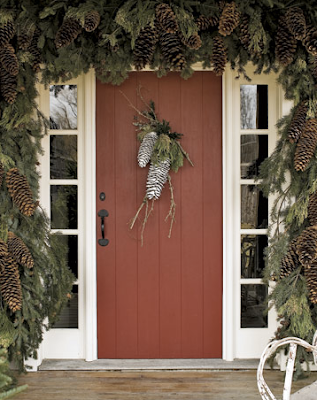 Most of the year I'm not enamored with the rustic style, but it's just so cozy in this dark, wintery time of year. 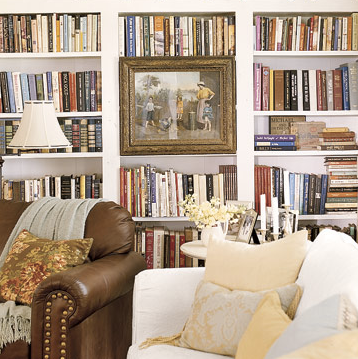 Can't you imagine curling up in one of those rooms near a window, candles lit, snow outside? Nothing could feel more like Christmas. Image credits: Top photo. 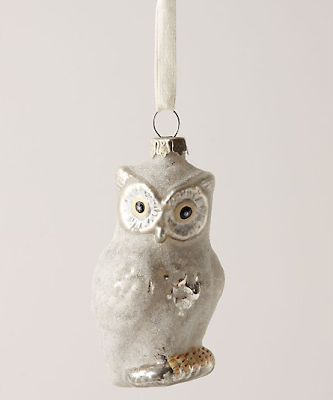 Anthropologie ornaments. Rooms 2 - 5. Rooms 7 - 8. Natural Christmas tree. I LOVE this series! I've just poured over every image, thinking with each color scheme that I like it more than the last. Now I can't decide between them all - perhaps I just like Christmas, period! 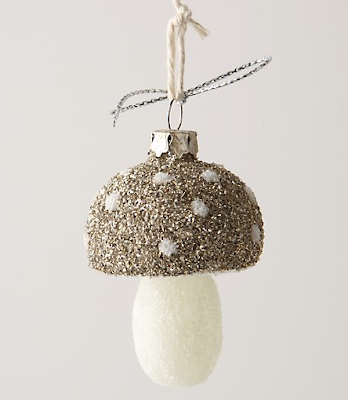 I'm doing gold and silver this year with splashes of black, white and pink. A while back I did copper and plum and it's still my favorite combination. Gorgeous images! I too have difficulty in deciding which way to go (as you know...having seen my stocking post). 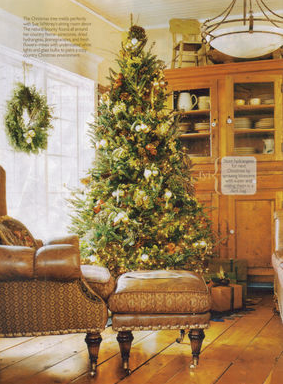 2 times of year I love rustic= Chrstimas/winter and Spring/summer vacation. Great series!! Love all the natural room, but love the gifts even more. 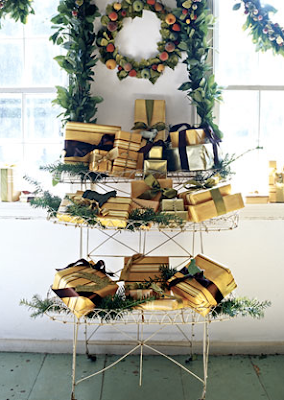 been playing around with gold and silver gift wrap all evening.....could have saved some time and borrowed you pic. Oh well, I am supposed to do my own! Skyla -- this is so refreshing! Jaithan and I are heading back to Atlanta in January and we'd love to see you! 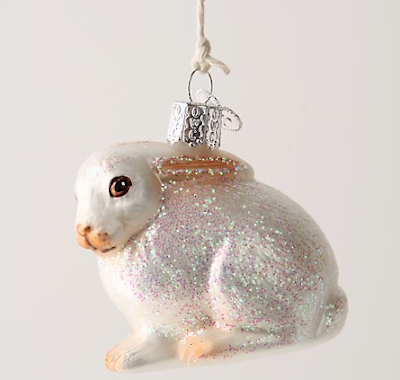 I'm not exactly a rustic-type of gal but those ornaments are adorable. 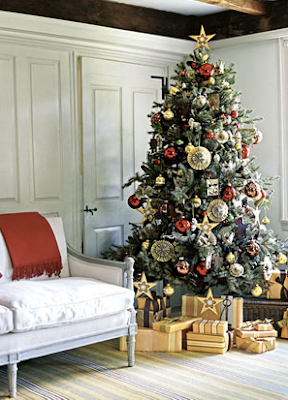 Martha Stewart Living actually had a really cute Christmas tree done up this way, complete with a faux bois planter! 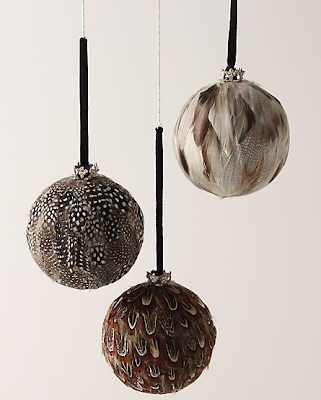 the anthro ornaments make me want to keep them around all year long, they're so pretty. I think the natural look has to be my favorite one for Christmas this year. Just a gorgeous gorgeous post!